On June 7, 2015 the great actor and icon Christopher Lee passed away due to heart failure. He was 93 years old. Most people know him for his portrayal of Saruman in The Lord of the Rings and The Hobbit trilogies, as well as Count Dooku in the Star Wars prequel trilogy. But there is so much more to him than that, and his passing is a great loss. The talk in my family about him over the years was that he was going to act until he died, and that after he died, he would will his body to be used as a prop to be in even more films forever, however morbid that thought seems now. We really thought he was never going to die, we thought he would go on forever. He came from an amazing lineage and his life spanned some amazing eras in history, and he left us all with a legacy of films and so much more. It is hard to list all the great things about him and what he has done, but I’ll give some highlights and Tid-bits. Christopher Frank Carandini Lee—oh excuse me—SIR Christopher Lee, was born May 27, 1922 in Belgravia, London, England and was knighted for services to Drama and Charity on June 13, 2009 as part of the Queen’s Birthday Honors. Prince Charles knighted him, and because of his age he was excused from the usual requirement of kneeling…but I would say because Christopher Lee is awesome and he kneels to no one. He and his older sister Xandra were raised by their parents, Contessa Estelle Marie (Carandini di Sarzano) and Geoffrey Trollope Lee, a professional soldier, until their divorce in 1926. Lee’s maternal great-grandfather was an Italian political refugee, while Lee’s great-grandmother was English opera singer Marie (Burgess) Carandini. Lee also descended from the Emperor Charlemagne of the Holy Roman Empire and was related to Robert E. Lee, the Confederate general. Later, while Lee was still a child, his mother married (and later divorced) Harcourt George St.-Croix (nicknamed Ingle), who was a banker. Through his stepfather, became step-cousin to Ian Flemming, the creator and author of the James Bond series. Through his long life, he was more than just a great actor, he was a man of honor, a loving husband and father, a Classically trained singer and sometimes a fanboy. Tid-bit: Apparently he geeked out when he bumped into J.R.R. Tolkien randomly in a pub, who gave Lee his blessing to play Gandalf in any future Lord of the Rings film (although he didn’t play Gandalf, he made a fabulous Saruman). He also once declared himself to be an unconditional fan of Gene Hackman. He didn’t start acting until he was 25 and it was hard for him to break into it with supporting roles because he towered over the leading men at 6’ 5”. Tid-bit: He is entered into the Guinness Book of World Records as “The Tallest Leading Actor”. Still, he was able to make a go of it starring in many Hammer Films horror films, but when they got schlocky he tried to break away from them. But what did he do in the first 25 years of life? A hell of a lot more than most 25 year-olds can say! When Lee was nine, he was sent to Summer Fields School, a preparatory school in Oxford whose pupils often later attended Eton. He continued acting in school plays, though “the laurels deservedly went to Patrick Macnee (The Avengers, 1969).” Lee applied for a scholarship to Eton, where his interview was in the presence of the ghost story author M. R. James. He placed eleventh and thus missed out on being a King’s Scholar by one place. His stepfather was not prepared to pay the higher fees that being an Oppidan Scholar meant and so he did not attend. Instead, Lee attended Wellington College, where he won scholarships in the classics, studying Ancient Greek and Latin. Aside from a “tiny part” in a school play, he didn’t act while at Wellington. At age 17 and with one year left at Wellington, the summer term of 1939 was his last. His stepfather had gone bankrupt, owing £25,000. Then, his mother and stepfather separated, and Lee had to get a job. While looking for work, he saw the death of the murderer Eugen Weidmann in Paris, the last person in France to be publicly executed by guillotine. 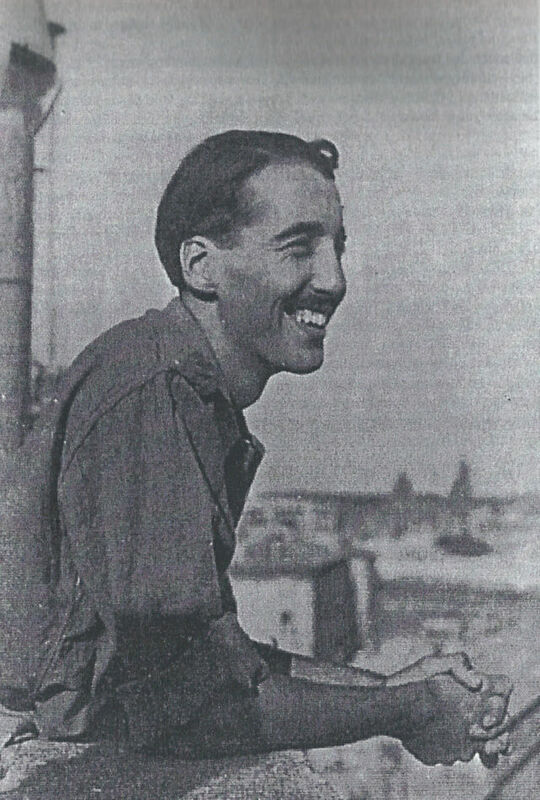 World War II soon broke out and Christopher Lee volunteered. He joined the Royal Air Force and became an intelligence officer for the Long Range Desert Patrol, a forerunner of the SAS, Britain’s special forces. He fought the Nazis in North Africa, often having up to five missions a day. During this time he helped retake Sicily, prevented a mutiny among his troops, contracted malaria six times in a single year and climbed Mount Vesuvius three days before it erupted. Later he moved to Winston Churchill’s even more elite Special Operations Executive, whose missions are still classified. The SOE was more informally, and fabulously called The Ministry of Ungentlemanly Warfare. Tid-bit: During his death scene in Return of the King (only included in the Extended Edition to Lee’s disapproval), director Peter Jackson was describing to him what sound people getting stabbed in the back should make. Lee gravely responded that he had seen people being stabbed in the back, and knew exactly what sound they made. There is so much more I could say about his time in the war, but then this post would be so much longer than it already is. So I will finish this section with this, by the end of the war he’d received commendations for bravery from the British, Polish, Czech and Yugoslavian governments. And this was all before the age of 25. Still early in his career, Lee dubbed foreign films into English and other languages including Jacques Tat’s “Mr. Hulot’s Holiday”. Sometimes he dubbed all the voices including women’s parts. Douglas Fairbanks, Jr., recalled that Lee could do any kind of accent: “foreign, domestic, North, South, Middle, young, old, everything. He’s a great character actor”. Lee spoke fluent English, Italian, French, Spanish and German, and was moderately proficient in Swedish, Russian and Greek. Lee stated in an interview that he was “conversationally fluent” in Mandarin. Tid-bit: He was the original voice of Thor in the German dubs in the Danish 1986 animated film Valhalla, and of King Haggard in both the English and German dubs of the 1982 animated adaptation of The Last Unicorn. Besides that, Lee was a world champion fencer. Mostly, he has played the villain, which he did so well that I wouldn’t even count it as a demerit, and he has been in so many films that he is in the Guinness Book of World Records for Most Screen Credits (2007) which was 244 at the time, starring in the most films with a sword fight (17 films), being the most connected actor along and being the Tallest Leading Actor. Tid-bit: Guinness says that he connects to virtually any actor in 2.59 steps—take that Bacon! However, he later admitted that his film work was not always chosen on quality but often on whether it could support his family. In fact, he has a history of being considerate to his loved ones, and caring for their well-being. And he got to be awesome while doing so. Lee was engaged for a time in the late fifties to Henriette von Rosen, whom he met at a nightclub in Stockholm. Her father, Count Fritz von Rosen proved demanding, getting them to delay the wedding for a year, asking his London-based friends to interview Lee, hiring private detectives to investigate him, and asking Lee to provide him with references, which Lee obtained from Douglas Fairbanks, Jr., John Boulting and Joe Jackson. Lee found the meeting of her extended family to be like something from a surrealist Luis Buñuel film and thought they were “killing [him] with cream.” Finally, Lee had to have the permission of the King of Sweden to marry. Lee had met him some years before whilst filming Tales of Hans Anderson and received his blessing. However, shortly before the wedding, Lee ended the engagement. He was concerned that his financial insecurity in his chosen profession meant that she “deserved better” than being “pitched into the disheveled world of an actor.” She understood and they called the wedding off (though she must have later been saddened that it didn’t turn out that way). Later, Lee was introduced to Danish painter and former model Birgit “Gitte” Krøncke by a Danish friend and his wife in 1960. They were engaged soon after and married on March 17, 1961. They had a daughter, Christina Erika Carandini Lee (b. 1963) and were still married upon his death. Beyond the serious note there, Christopher Lee had some fun in his life. 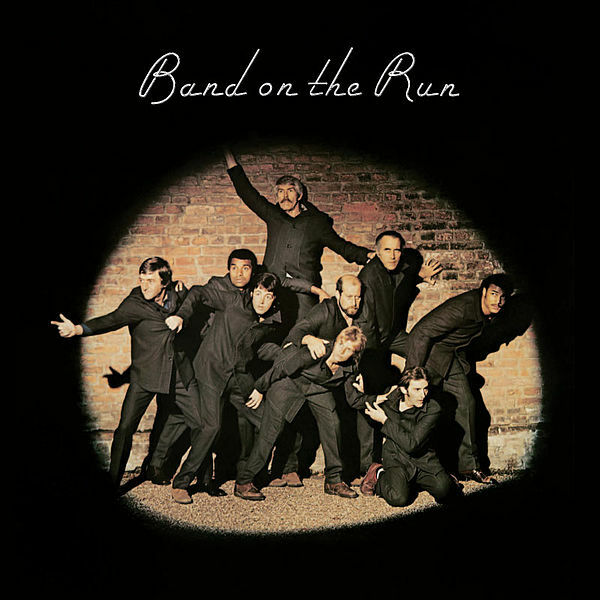 He was on the cover of Paul McCartney’s 1973 Band on the Run album (seen below), as well as the video for the song—which was a making-of for the cover. Around 1988, Lee agreed to play a vampire once more in an unproduced Dutch/Belgian comedy that was to be called “Blooper.” The script, written by Frank van Laecke, was commissioned because of the physical resemblance between Lee and Dutch opera singer Marco Bakker, as noted by Bakker’s wife, actress Willeke van Ammelrooy. Lee, a great lover of opera, got along well with both of them. The story concerned an opera singer called Billy Blooper (Bakker) who learns his father (Lee) is a vampire who’s teeth had gone rotten after eating too many sweets. Now whenever he bites anyone, instead of turning into a vampire, they became half-human, half-chicken (which sounds ridiculously campy and fun—and is right up my horror alley). And yes, the rumors are true, Christopher Lee loved Heavy Metal. Lee’s first contact with heavy metal music was singing a duet with Fabio Lione, former lead vocalist of the Italian symphonic power metal band Rhapsody of Fire (and currently a member of Angra), on the single “The Magic of the Wizard’s Dream” from the Symphony of Enchanted Lands II album. Later he appeared as a narrator on the band’s four albums Symphony of Enchanted Lands II—The Dark Secret, Triumph or Agony, The Frozen Tears of Angels and From Chaos to Eternity as well as on the EP The Cold Embrace of Fear—A Dark Romantic Symphony, portraying the Wizard King. He also worked with Manowar while they were recording a new version of their first album, Battle Hymns. The original voice was done by Orson Welles (who was long dead at the time of the re-recording). The new album, Battle Hymns MMXI, was released on November 26, 2010. His first complete metal album was Charlemagne: By the Sword and the Cross, which was critically acclaimed and awarded with the “Spirit of Metal” award from the 2010 Metal Hammer Golden Gods ceremony, where he described himself as “a young man right at the beginning of his career”. It was released on 15 March 2010. In June 2012, he released a music video for the song “The Bloody Verdict of Verden”. On his 90th birthday (May 27, 2012) he announced the release of his new single “Let Legend Mark Me as the King” from his upcoming album Charlemagne: The Omens of Death, signifying his move onto “full on” heavy metal. That makes him the oldest performer in the history of the genre. The music was arranged by Richie Faulkner from the band Judas Priest and features World Guitar Idol Champion, Hedras Ramos. In December 2012, he released an EP of heavy metal covers of Christmas songs called A Heavy Metal Christmas. He released a second in December 2013, entitled A Heavy Metal Christmas Too. With the song “Jingle Hell,” Lee entered the Billboard Hot 100 chart at #22, thus becoming the oldest living performer to ever enter the music charts, at 91 years and 6 months. The record was previously held by Tony Bennett, who was 85 when he recorded “Body and Soul” with Amy Winehouse in March 2011. After media attention, the song rose to #18. Rock on Mr. Lee, ROCK ON! Tid-Bit: His one outspoken regret, or at least claimed it as his biggest mistake, was that he turned down Donald Pleasence’s role as Dr. Sam Loomis in Halloween (1978). Honestly, that would have been so amazing, but he did so many other fantastic roles that that one was no big loss. I’m really glad that the last thing I saw him in was The Hobbit trilogy, because even though he is known for his villain roles, including Saruman, I always want to root for him, and seeing Saruman on the side of good felt like redemption, and a nice send off. 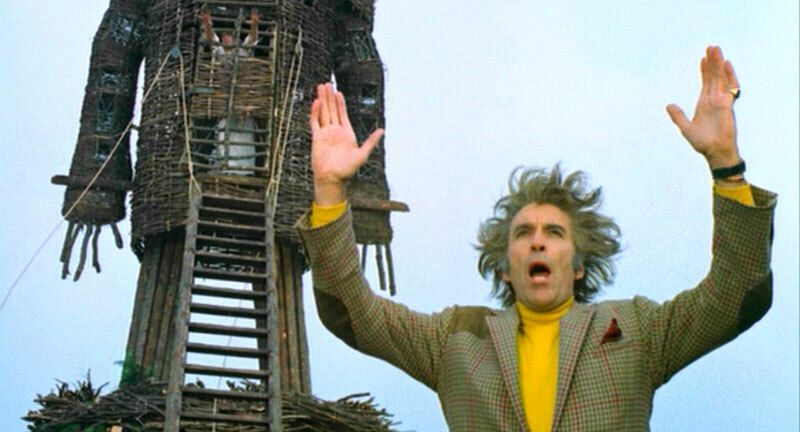 What I want to do now is to try to watch every film he was in—especially the ones I have no idea what they are about, like The Oblong Box (1969), and re-watch some that I didn’t realize he was in, like The Wicker Man (1973)—not the really bad Nick Cage remake, but the really interesting and thrilling original! I suppose that will take me until I, myself, am 93. And in that way, and many others, I guess Christopher Lee really will live on forever.